A new survey from comScore shows that prospective iPad users aren’t particularly excited about downloading applications. ComScore asked 2,176 Internet users about the iPad and other e-readers. Of that group, 1% had already purchased an iPad and 15% were seriously considering buying one in the next 3 months. When asked about how they would use an iPad, only 26% said they were likely to download applications for the iPad, while 36% said they were unlikely to use the App Store. 50% said they would browse the Internet and 48% would use email. 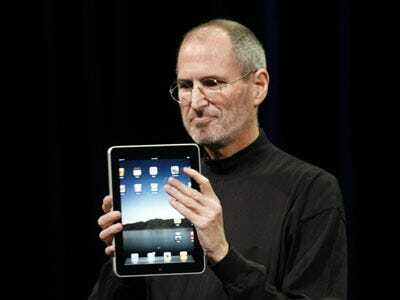 The iPad, unlike the iPhone is going to be a large screen device that’s geared towards using the web. For that reason, it makes sense that a lot of applications won’t be needed. Why download a Facebook app, if you can just look at Facebook through Safari? That said, there’s some inconsistency in the survey. ComScore found 37% of users want to read a book on the iPhone, which can only be done if users go and download an app from the App Store. Also, 30% say they want to play games which will only be available through the App Store. We believe gaming on the iPad will be huge, leading iPad application downloads. However, this survey suggests that the iPad won’t generate the same sort of App frenzy that the iPhone created.